War, repression, terrorism, and rampant human rights violations have conspired to produce what’s commonly called the global refugee crisis. There are more than 20 million refugees in the world today. But this crisis isn’t just a matter of numbers. It is also a crisis of governance: the widespread failure of nations to live up to their legal obligations to respect the human rights of refugees and to share the responsibility of assisting and hosting them. On September 20, 2016, President Obama will host a Leaders’ Summit on Refugees to encourage the world’s nations to do more. But for the United States to lead, it must lead by example. Despite its legal obligations under human rights and refugee protection conventions, and despite its support for refugees globally, the United States is falling far short at home. Refugees who request protection at U.S. airports and borders are often subjected to “mandatory detention” under a flawed “expedited removal” process and sent to facilities with conditions typical of those in criminal prisons. Such automatic detention flies in the face of U.S. human rights and refugee protection commitments, which recognize that asylum seekers should generally not be detained, that alternative measures must be employed before detention, and that detention must be subject to prompt court review. Instead, asylum seekers are often held for months, and sometimes longer. Many are indigent and unable to secure legal counsel in these facilities, which are generally located far from urban centers. Even those who actively request release through parole or bond hearings are often left to languish in detention due to bond amounts they cannot afford or the failure of authorities to follow policy. In the first year of the Obama Administration, the Department of Homeland Security (DHS) issued an Asylum Parole Directive confirming that an asylum seeker found to have credible fear of persecution should generally be paroled if identity is sufficiently established and if the asylum seeker does not pose a danger to the community or a flight risk which cannot be mitigated. Prior asylum parole guidance has been issued periodically since the early 1990s through various memoranda. The 2009 Asylum Parole Directive was issued in the wake of numerous reports by entities such as the bipartisan U.S. Commission on International Religious Freedom (USCIRF), international human rights authorities, and groups such as Human Rights First that had documented the often lengthy, inconsistent, unnecessary, and costly detention of asylum seekers in the United States. Yet, as we near the end of the Obama administration’s second term, Human Rights First has found that some Immigration and Customs Enforcement (ICE) field offices and officers are failing to follow the Asylum Parole Directive, in many cases leaving asylum seekers in detention for months or longer. This problem reflects in part a systemic failure of the immigration detention bureaucracies to follow parole guidance spelled out only in memoranda, rather than in regulation—a pattern since the early 1990s. But it is not only the limited number of “arriving” asylum seekers covered by the Asylum Parole Directive who have faced greater difficulty securing release from detention. Human Rights First found that ICE and the immigration courts, which are overseen by the Department of Justice (DOJ), routinely demand bond amounts that are impossible for indigent asylum seekers and other immigrants to pay, leaving many in detention for months or longer. 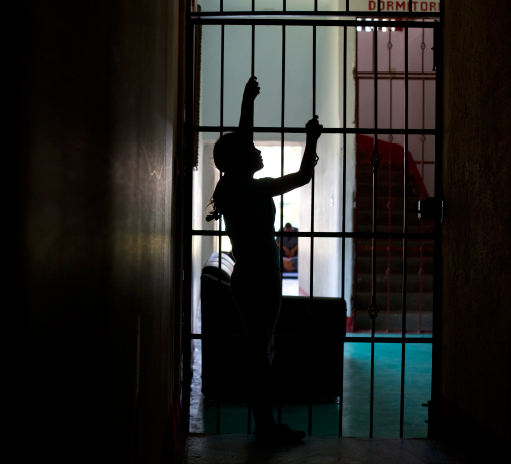 The shifts in detention and release practices for asylum seekers also follow—and appear to be influenced by—two major policy shifts announced by the Obama administration in 2014: a deterrence-based detention policy directed at Central American families seeking asylum in the United States and Secretary Jeh Johnson’s November 2014 immigration enforcement priorities memorandum, which characterizes people “apprehended at the border or at ports of entry attempting to unlawfully enter the United States” as top enforcement priorities. Both moves reflected the Obama administration’s political calculation that portraying recent border arrivals as threats to security and prioritizing their detention and removal would help advance broader immigration reform measures, including through executive action. But in both cases, the administration failed to adequately adhere to—and safeguard through its written policies and public statements—U.S. legal obligations to those seeking refugee protection.